One of Scotland’s most experienced travel professionals has joined Stewart Travel Management. 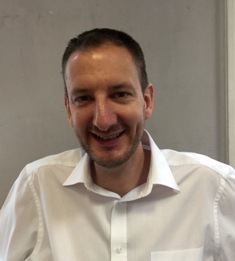 Jon Grosse has been tasked with developing a specialist groups department in his new post. He has 22 years industry experience and was most recently Groups Manager with Colpitts World Travel. For the past ten years Jon has specialised in business and group travel. He has developed particular expertise specialising in the provision of complex travel arrangements in the artistic sector – in particular, making detailed arrangements for orchestras and ballet companies planning tours and festival engagements. Confirming details of his appointment as Stewart Travel Management Groups Manager, Jon said: “I am delighted to be joining one of the country’s most ambitious and dynamic travel companies and look forward to using my experience to develop and grow the new Group Travel division of the business.” Widely respected in the travel trade, Jon has a wealth of experience and has previously worked for Lothian Travel, Globespan and Ian Dickson Travel.